The NFL just got more interesting now that San Francisco 49ers quarterback, Colin Kaepernick, just made a bet with Seattle Seahawks quarterback, Russell Wilson when they meet next week in week two’s NFL matchup. The bet goes like this: whoever loses when they face off this weekend has to shave an eyebrow. 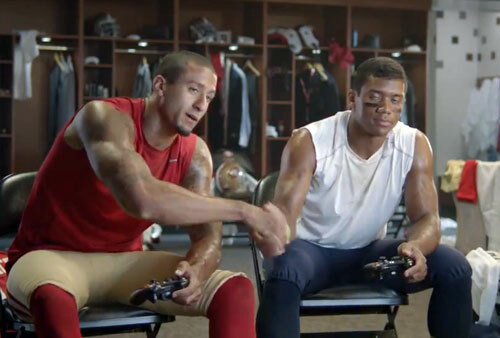 Photo shows 49ersw QB, Colin Kaepernick, shaking hands with Seahawks QB, Russell Wilson, in a wager where the loser promises to shave one eyebrow when the two teams meet in week two. Are these types of wagers now becoming a trend in the NFL? Do you think that the loser will actually shave their eyebrow?